Check out the new super low sale prices on all of our campact pedals! The Linden E.Q. brings back classic tones to your modern bass rig. Hyper tight bass boost, incredibly sweet high band. Two toggles to contour your EQ response and tailor your instrument input. 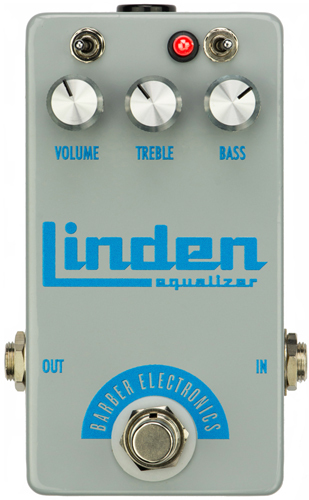 The Linden converts your 9 volt adaptor into 25 volts internally for massive headroom. Make them all swoon from your unthinkably great sounds, get a Barber Linden E.Q. and knock em' out! Regularly $149.95 but forget that, introductory price of only $99.95! 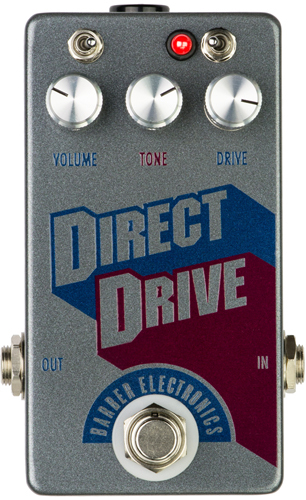 The new V3 Direct Drive arrives with an updated look, stronger bass, and smooth creamy highs. Even better, an unbelievable intro price of $119.95! All made by hand in the USA.